Here assign the value of Emailid textbox to var type of Email. 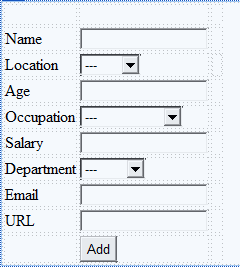 to check Email ID pattern here is the value to compare the given value. now match the entered value to emailPat by using match function. now check EmailMatch variable has value or not, if contain value email is valid otherwise not valid. to check URL pattern here is the value to compare the given value. now match the entered value to UrlPat by using match function. now check UrlMatch variable has value or not, if contain value email is valid otherwise not valid.